We have received a lot of feedback from Insiders that it should be easier to activate Windows 10 on devices when taking advantage of the free upgrade offer from genuine versions of Windows 7, Windows 8 or Windows 8.1. 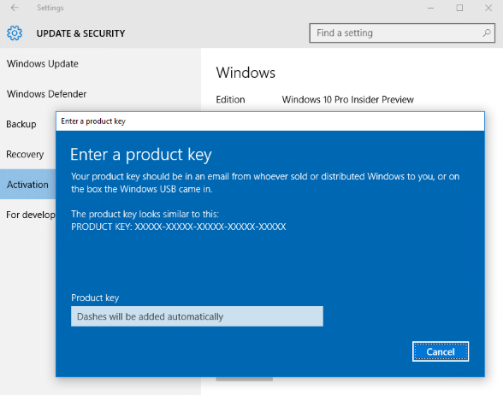 With build 10565+ of the Windows 10 Insider Preview on PCs, if your device doesn’t automatically activate after installation, you can now enter the product key that was used to activate the prior version of Windows on the same device, by going to Settings > Update & Security > Activation, and selecting ‘Change Product Key’. 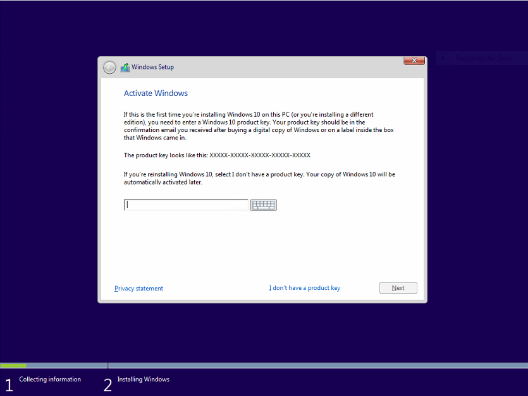 If you prefer a clean install of Windows 10 by booting from media, you can now also enter the product key from prior Windows versions on qualifying devices during setup. We’re looking forward to you trying out these changes and providing feedback.